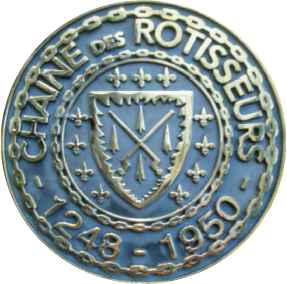 The Chaîne des Rôtisseurs, an international gastronomic society, founded in Paris in 1950, traces its origins back to 1248. At that time, the French King Louis IX (later canonized as Saint Louis) wishing to thank the trades which had contributed to the construction of Sainte Chapelle, ordered the establishment of several professional guilds, one of which was the “Oyeurs” or goose roasters. The vocation of this guild was to improve the technical knowledge of its members: apprentices, tradesmen and masters. Over the decades its activities and privileges were expanded. For more than four centuries the ‘Confrérie des Rôtisseur’ cultivated and developed the culinary arts, meeting all the requirements of professionalism and quality demanded by the “Royal Table”, until 1793 when the guild system was dissolved during the French Revolution. The Rôtisseurs were completely forgotten until 1950, when Dr. Auguste Bécart, the well-known journalists Jean Valby and Curnonsky (elected “Prince of the Gastronomes”), and chefs Louis Giraudon and Marcel Dorin revived the association and founded the “Confrérie de la Chaîne des Rôtisseurs”. By 1509, during the reign of Louis XII, when the guild’s knowledge was extended to include the preparation of other meats and poultry, including game, it took the name “Rôtisseurs” (roasters). Then in 1610, under the reign of Louis XIII, it was granted a Royal Charter and a Coat of Arms. 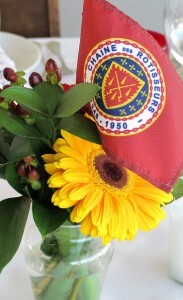 The Chaîne des Rôtisseurs today is a international gastronomic association, dedicated to honouring the preservation of the traditions and practices of the old French guild in a completely contemporary and international context. The principal goal of the Chaîne des Rôtisseurs is to bring professional and non-professional, amateur members in over 80 member countries together to celebrate their passion for fine cuisines and wines and to aid and encourage the development of young chefs and sommeliers worldwide through its national and international competitions as well as provide international food support and aid to those in need. 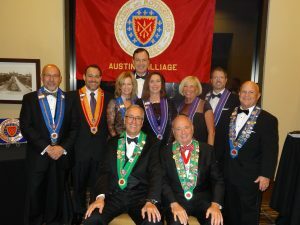 The Austin Bailliage or Chapter organizes about eight events per year at fine Austin area establishments with the goal of creating exceptional gastronomic experiences accompanied by fine and appropriate wines, and at the same time creating an ambiance of camaraderie and fun and, where possible, furthering the education of the members in the culinary arts. Membership in the Chaîne is by invitation only and is extended to men and women who are professional or amateur gastronomes. For professionals, it provides opportunities to demonstrate their exceptional skills and creativity to a discerning, appreciative audience. 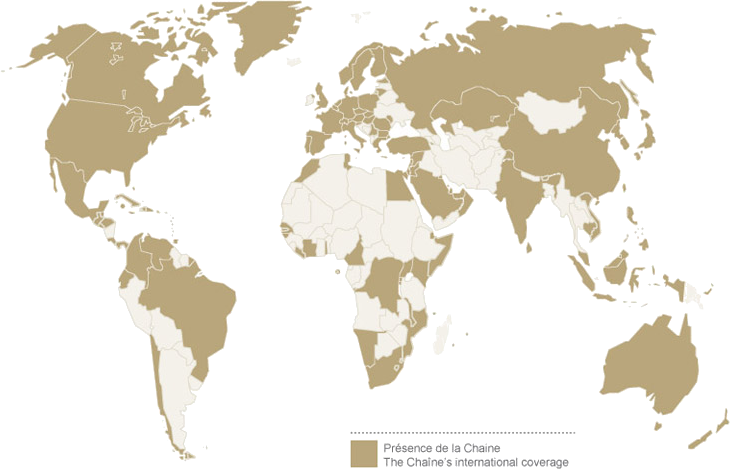 Members are invited to attend events, not only in their local Bailliage, but also in regional, national and international venues.